Restoring and reforesting ridges and maritime forests for the migrating birds as well as serving to protect the surrounding wetlands from the effects of storm surge has become an increasing priority. BTNEP has been at the forefront of ridge restoration since the late 1990’s, collaborating with partners on the creation of the Fourchon Maritime Forest Ridge and Marsh Restoration and with bird experts in the selection of a suite of native woody species beneficial to the migrating birds. BTNEP collects native seed from local areas prone to periodic salt water intrusions or maritime influence with the expectation that the seeds and trees will exhibit a higher tolerance to the saline soils and conditions found in the restoration areas the seed has been selected for. 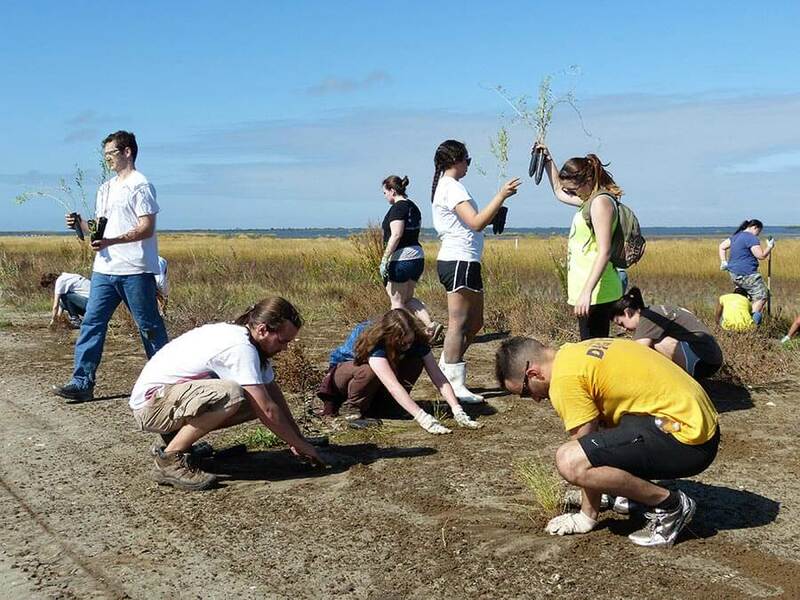 As a result of the Fourchon ridge restoration project and the ever expansion of our Volunteer Program, BTNEP’s Coastal Restoration Native Planting Program has expanded to meet these needs and to increase our restoration planting footprint within the region.